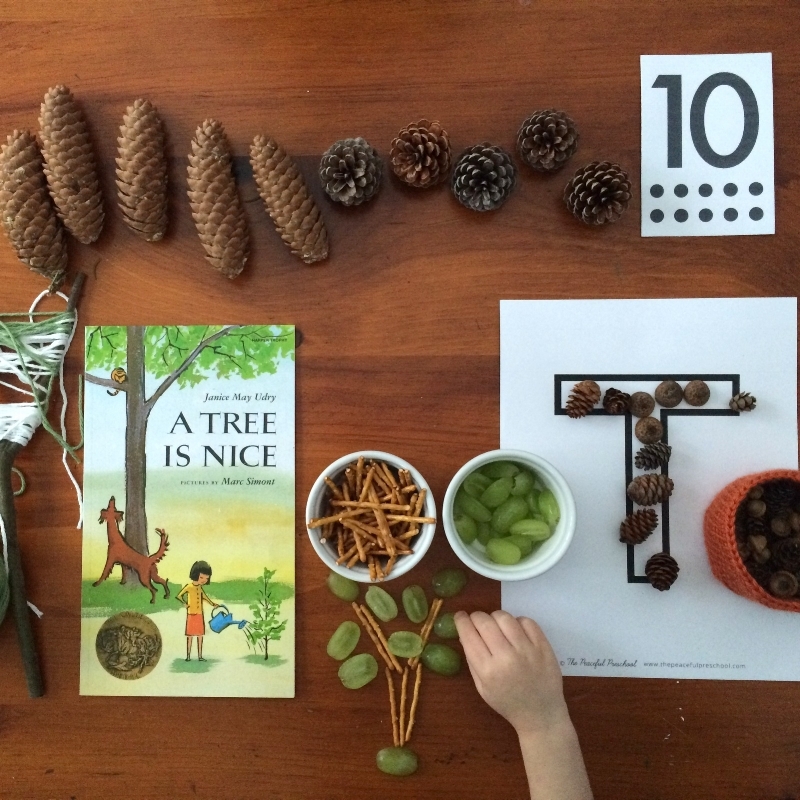 The idea for these leaf animals came from the book, Look What I Did With A Leaf. I helped this preschooler lay out her animal, and then we applied glue together to create this fox. As the leaves begin to change and fall (it happens a little slower here than say, western Canada, where snow has already fallen! ), I like to pause whatever our regular studies are to acknowledge and enjoy the changing season. 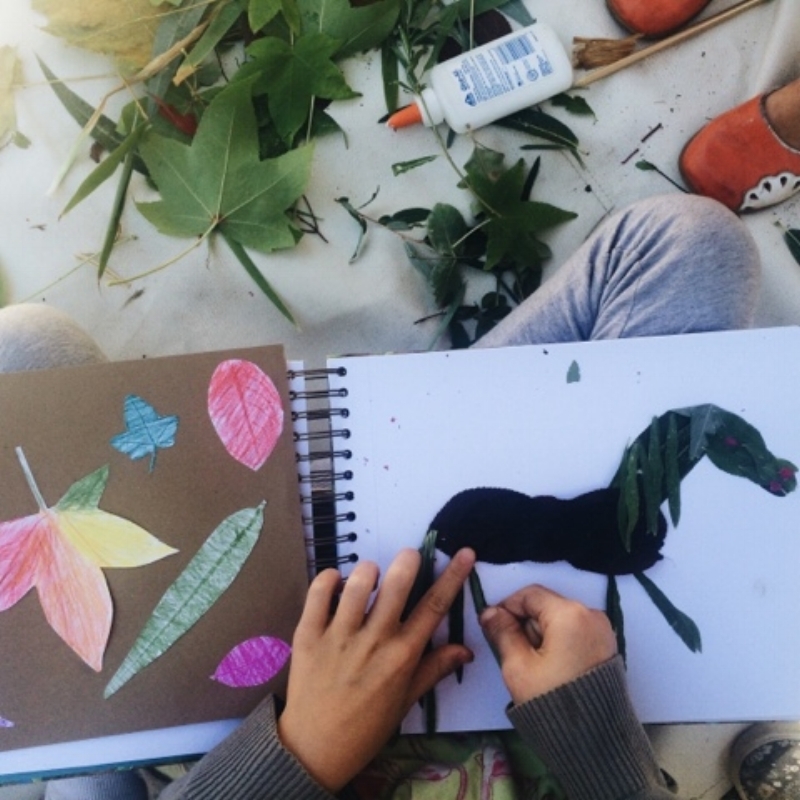 We took a trip to a local apple orchard and stocked up on apples which we have been eating copious quantities of, and also have spent several hours observing leaves, creating collage from leaves, and making leaf rubbings with crayons. We also made walnut shell boats, complete with tiny flags which tied in nicely with a reading of "In 1492", about Christopher Columbus. We also used the book list from our Whole Family Rhythms suggested reading to find more ways to celebrate. I gave the children a clipboard with paper, and they laid a few leaves under the paper. We then trimmed the edges and glued it to card stock. For less robust rubbings, we just cut them in a leaf shape and glued to card stock. 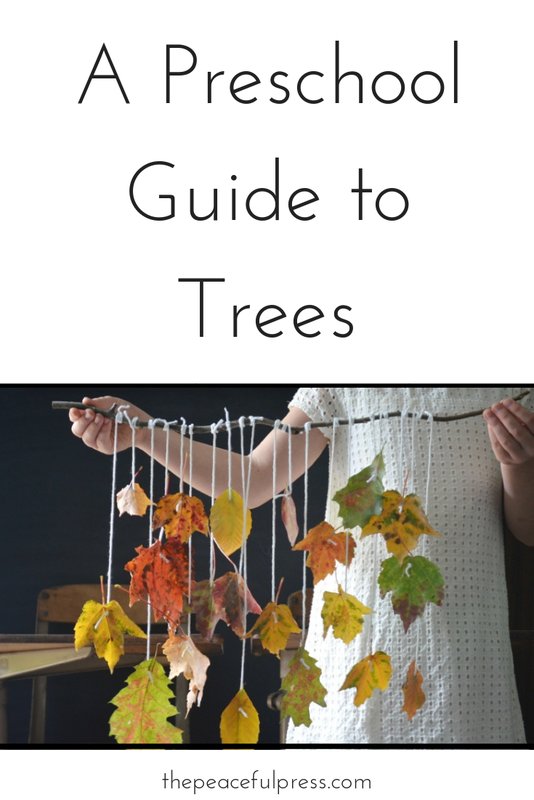 While preschoolers may have developing attention spans, that may give up on leaf rubbings or collage sooner than we wish, just having a tray of seasonal nature items available for your young child to observe and enjoy can be a perfect way to add sensory exploration and appreciation of the natural world into your days. The walnut shell boats were created by carefully cracking a nut in half and scooping out the meats. We then put a small piece of clay in the empty shell, stuck a twig in the clay, and attached a paper flag to the twig. Easy and adorable. What are you doing to celebrate the changing season? Share, by tagging #thepeacefulpreschool on Instagram, or in our encouraging private Facebook group, available with your curriculum purchase.